Aloe Vera Cleanser gently, yet thoroughly, cleanses the skin, while calming and moisturizing. Aloe Vera helps fight bacteria, clear blemishes, and combat signs of aging. 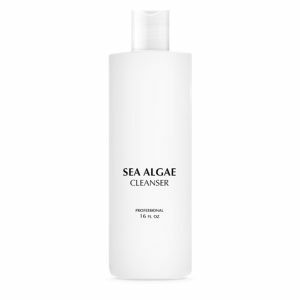 Sea-Algae Cleanser is formulated to treat prematurely aging & fair skin. The rich minerals help tone, nourish, soothe & balance the skin while completing the cleansing process. AHA Fruit Cleanser helps treat sensitive skin as well as skin with broken capillaries and sun damage. Alpha Hydroxy Acid promotes cell renewal and detoxification, while thoroughly cleansing and exfoliating the skin. Lactic Acid and Certified Organic Fruit Extracts work to prevent breakouts, reduce the appearance of fine lines and wrinkles, and maintain skin’s youthful elasticity. Use daily for a rejuvenated, soft, and balanced complexion. Glyco Milk Cleanser provides a deep cleanse, as it washes away makeup residue and impurities. Infused with antioxidants such as Vitamin E & C, this formulation promotes photoprotection and fights against free radical damage. Certified Organic Bark Extract helps prevent breakouts, while gently exfoliating dead skin cells. Skin will feel and look healthy and rejuvenated. Gentle Cleanser works to soothe and purify sensitive and irritated skin. Infused with Certified Organic Cucumber and Chamomile Extract to calm and hydrate; this gentle formulation promotes skin resiliency and suppleness, while clearing skin of impurities. Helps maintain moisture and balanced pH for a soft and soothed feel. 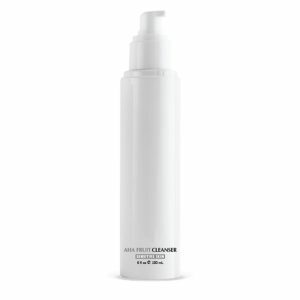 Active Cleanser helps treat combination-to-oily skin by washing away impurities and excess oil for a deep, thorough cleanse. Balanced, hydrated, and smooth skin will be revealed.